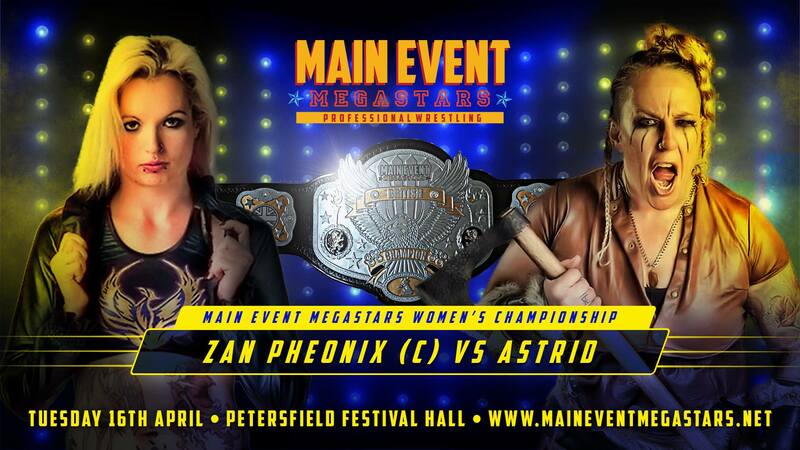 The Main Event Megastars return to the Petersfield Festival Hall on Tuesday April 16th. We are looking forward to returning to Petersfield after our sell out pro wrestling spectacular last April. Our 2018 event sold 2 weeks in advance so make sure to order your tickets early. Confirmed to appear are the Great-O-Kharn, Jody Fleisch, Zan Phoenix & Katy "Astrid" Bishop.